La Roche-Posay Hydraphase Intense Riche is designed for dry, sensitive, and/or dehydrated skin types and contains hyaluronic acid fragments to help rehydrate skin and repair photodamaged complexions over time. This moisturiser is an ideal alternative to overly rich, heavy rehydrating masks such as Origins Drink Up Intensive Overnight Mask. Instead of a thick cream, which can feel heavy on the skin, La Roche-Posay Hydraphase Intense Riche feels light, absorbs quickly without leaving a thick layer or residue, and has a gradual effect with regular use. La Roche-Posay Hydraphase Intense Riche transforms sore, dry skin, correcting redness and preventing the tight feeling that comes with dehydration; it feels comfortable and soothing with a pleasant fresh, clean smell. Formulated for sensitive skin types, La Roche-Posay Hydraphase Intense Riche shouldn't irritate or aggravate. I've been using La Roche-Posay Hydraphase Intense Riche in the evenings after cleansing, leaving it on for several hours to rehydrate my skin. 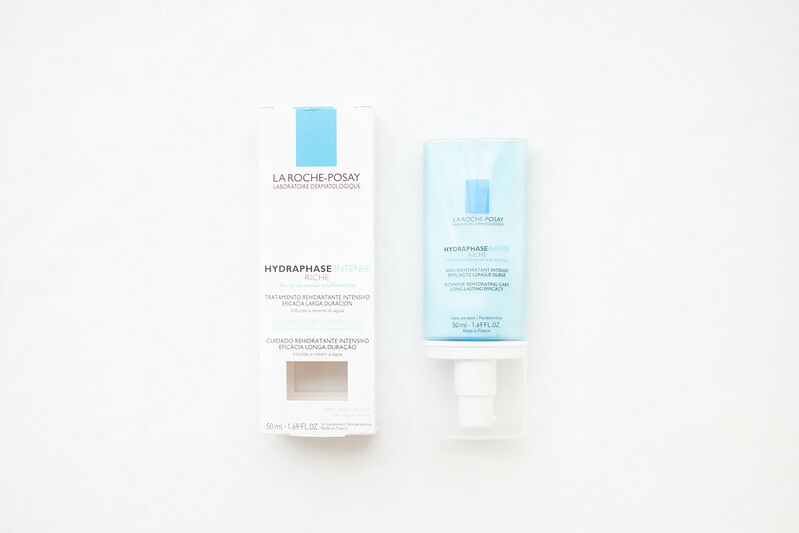 It's definitely a fantastic alternative for anyone who finds most rehydrating moisturisers to be too heavy; La Roche-Posay Hydraphase Intense Riche could easily be used both in the mornings and evenings, under make-up or after cleansing. I would say you're better off looking for a moisturiser/treatment specifically designed for redness and scarring since this is more of a lightweight moisturiser built to rehydrate rather than even out skintone. Vichy Life Serum is wicked and it helps with correcting skintone, I don't think it would help so much with scarring though. I find myself wanting to try more from this brand with each passing day. I used their Physiological Cleanser and Toner religiously about two years ago and my skin looked so much better (I also drank a lot more green tea back then too which may have had an impact). I'm looking to buy this range again I think as it worked really well.